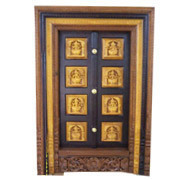 Established in the year 2001, we-Mahalsa Designer Doors have etched our name as a noteworthy organisation engaged in manufacturing, exporting and supplying of a range of elaborately carved doorways, windows and other wooden articles. 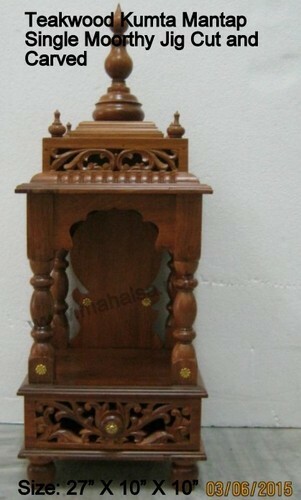 Our products are adding a rare dimension to doorways at homes, temples, shrines and ashrams all over the world. 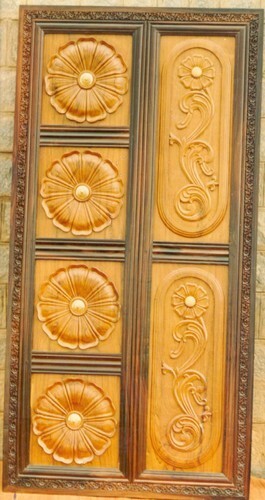 Each door is a work of art, reflecting a sanctity that is almost divine. The detailed array of our products encompasses Entrance Door, Pooja Door, Internal Door, Wooden Door, Mandap, Table, jhoola and Curio Corner. Our range started with a traditional touch, which gradually moved on to modern ones with the creative intellect of our designers and architects. Some of the popular designs that our products depict are floral, creepers etc. 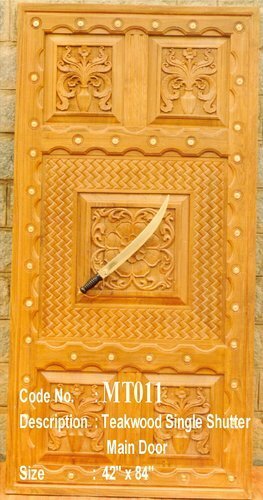 We also present to our customers a unique concept of “design your own door”, that gives them a chance to bring out the designer in them resulting in fabulous designs. Each door goes through six finishing stages. 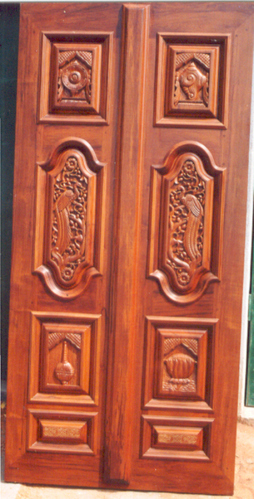 The lacquer used for the final finish retains the gloss and protects the door from ambient moisture. The polyurethane coating comes in three finishes namely, Glossy, Semigloss and Silky Matt. The coating can be applied on either natural or tinted surface depending on individual taste. Our knowledgeable and talented team members make it easier for our organization in carrying out Research and Development programs, along with updating the company’s database in various aspects. All this has been enabled with the help of various training programs that our team members have gone through. Skilled artisans who come to us from all over India, are experts in their respective fields and are capable of creating timeless souvenirs. Our artisans hail from various states of India; therefore our range of product fully represents art from all corners of the country. This wood is then cut and planed to size using carbide tipped blades to get the fine finish. It goes to the carpentry section for marking, assembly and joinery. 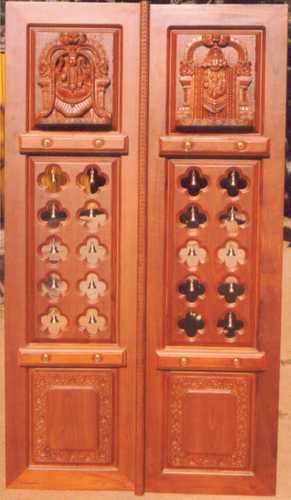 The next stage is of value addition such as giving a decorative design like marquetry, fine embellishment of brass and synthetic inlay, carving, moulding etc. The last stage is that of finishing. These logs are then cut radially and slab wise, to give maximum yield. The wood obtained from this process is then subject to kiln seasoning to get the right amount of moisture. At product stage the seasoned wood is selected on basis of colour and size and earmarked for each product separately.